I have not created NEARLY as much as I’ve wanted to this year. But, I managed to toss something together in November. Thanks to a few random reasons, B and I are acquainted with former pro triathlete and all-around awesome person, Hillary Biscay. She and her husband, Maik, recently adopted a little girl, Madison Frankie. Since I knew we’d have a good shot at seeing her on our Arizona trip (blog coming soon), I wanted to make a little something for Madison. 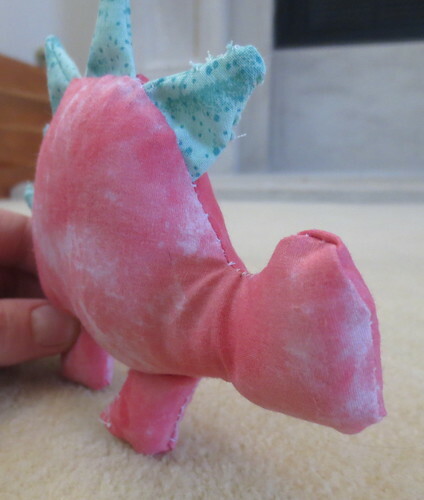 Since we’re Team Baby Dinosaur … clearly, I wanted to do a dinosaur. 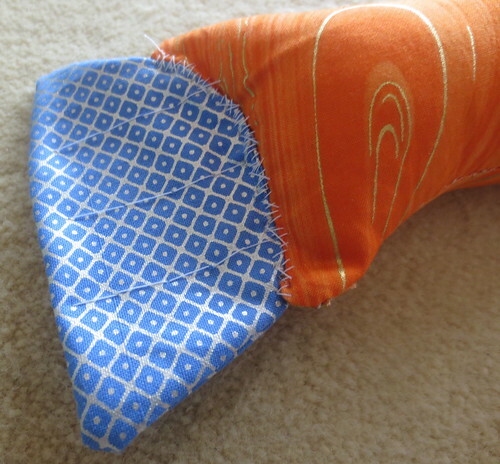 I searched around online for some patterns and came across this one. 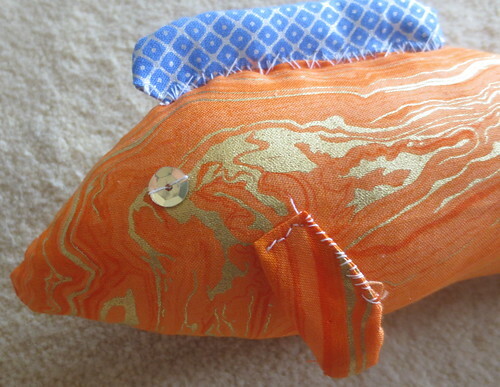 It seemed quick and easy (and doable), so I pulled out some fabric and took a few hours to make a dino. Lo and behold, it turned out! Holding it up (also for a sense of scale). 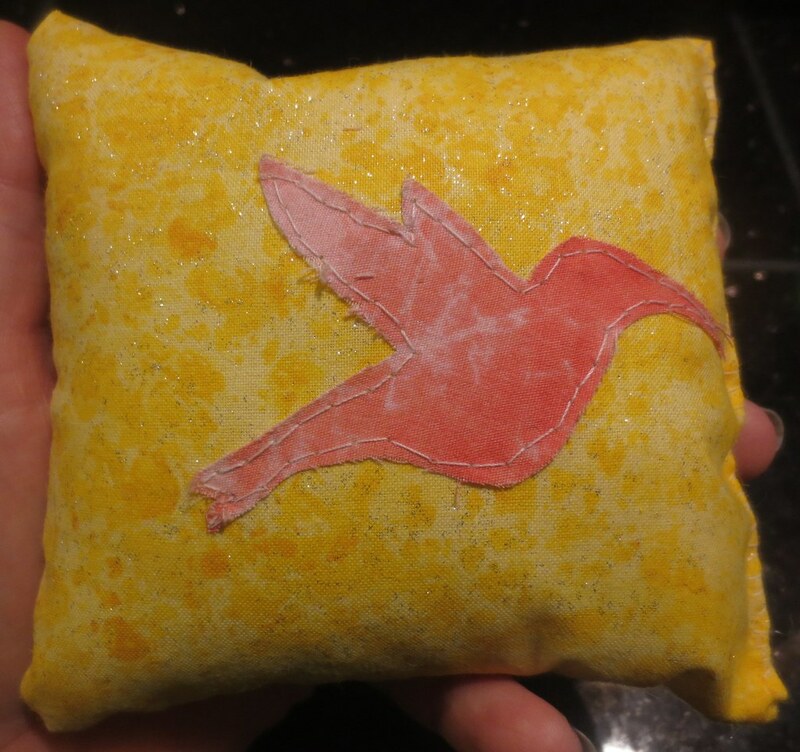 It’s pretty tiny, but it turned out pretty cute and I hope Madison likes it! Like me when I was once young, my niece Amelia loves fish and fishy things. I was obsessed once upon a time, owning somewhere around 11 plush killer whales, seven dolphins, eels, various other whales, lobsters, crabs, sharks, penguins, other fish, walruses … you name it, I probably had it in stuffed form. 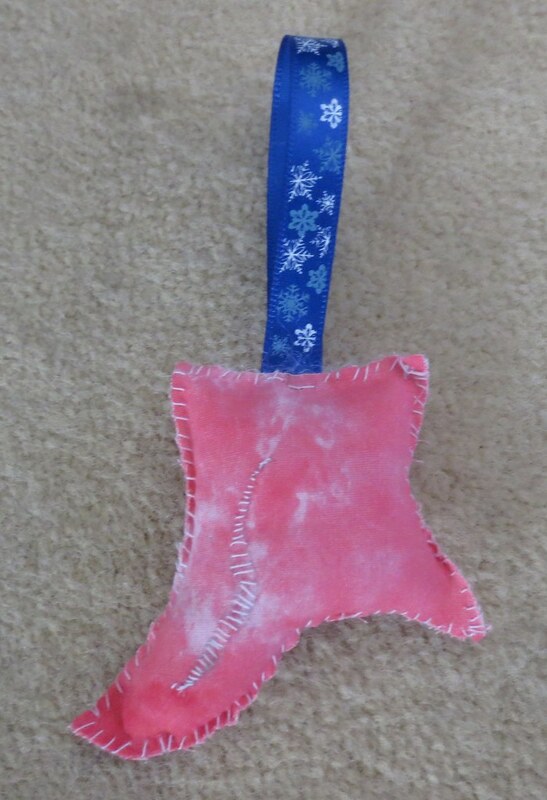 Since I’m trying to force myself to tap into my creative side a bit more, I decided to make Amelia a plush fish for Christmas. 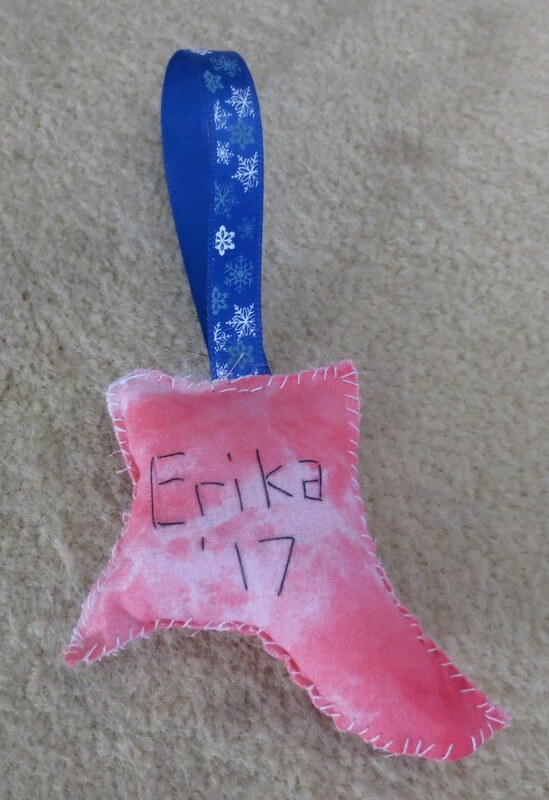 I knew she had some of her own from other places, but I thought a handmade gift from her aunt might be pretty cool. 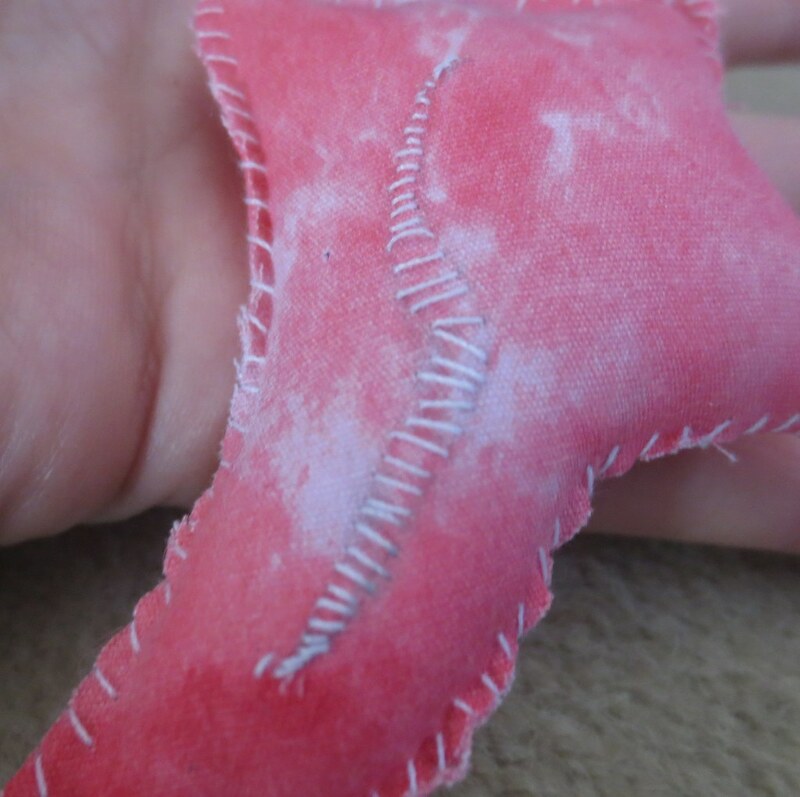 So, I went through my fabric, picked out two (one for the body and one for the fins), drew a very basic outline of how I wanted it to look … and went from there. That last point brings me to why I’m actually posting about this now – I finished the damn thing about two weeks ago. Oops. Still, I’m pretty proud with how it turned out. I may do things differently in the future regarding the attachment of the tail and top fin, and maybe buy buttons for the eyes as the sequins are probably not the most permanent choice. In any case, Nicole (my sister-in-law) has told me she loves it, so that’s the most important thing. 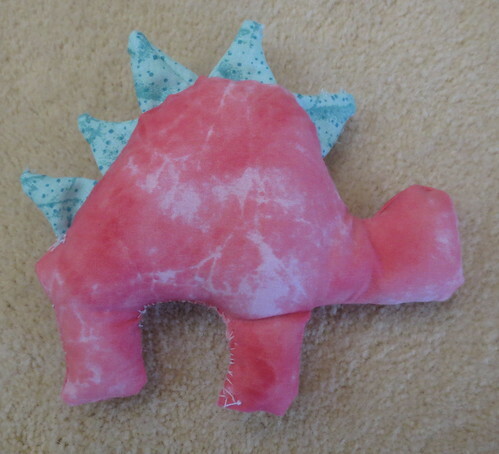 A good friend of mine had a baby back in December and I had wanted to give her something dinosaur-related for the kid, since that’s what we do. 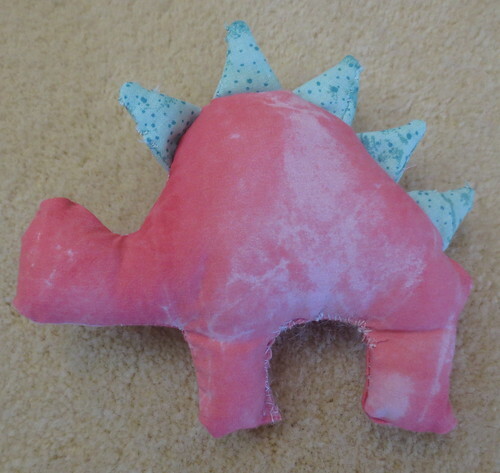 I was out of the typical dino stuffed animals we keep on hand and I didn’t have time to try and make one (she had to move back to Canada), so I made a cute applique dinosaur pillow. I would have done a T-Rex, but they’re not so easy to do in silhouette. 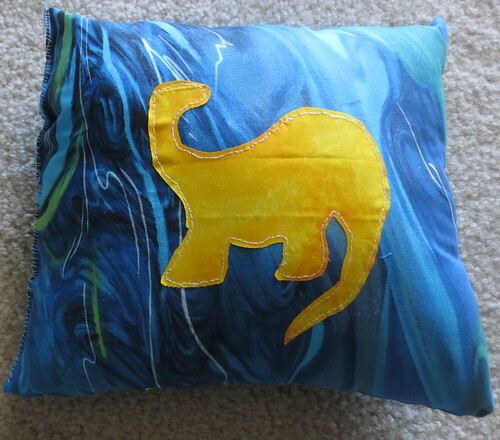 Dinosaur outline found online and hand-sketched on to fabric; cut out and sewn on before making pillow. 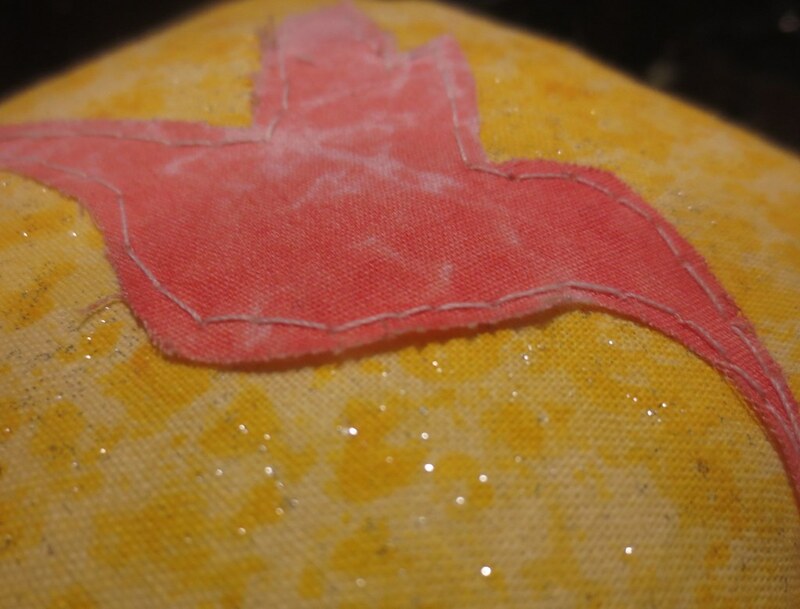 All hand-sewn. 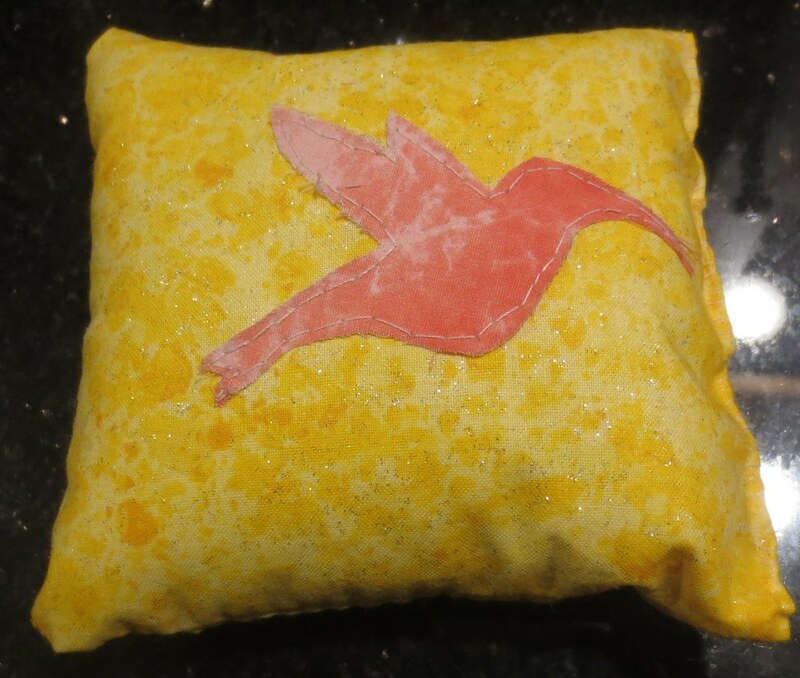 I forgot how quick and easy it is to make pillows … and how much I enjoy doing it.